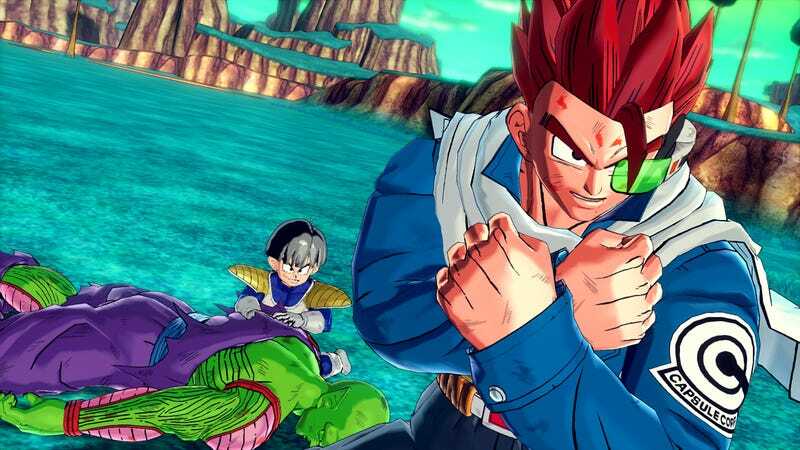 Dragon Ball Z fans won't just get to play as iconic characters in the upcoming Dragon Ball Xenoverse game—they'll also get to play as a new character introduced by Bandai Namco. In fact, you're looking at him right now. While Bandai isn't releasing too many details about the new character, they do say he might "rewrit[e] DRAGON BALL history as we know it." Hence why you can see him during classic Dragon Ball moments he was never originally in, like the one above. I think it's kind of neat, though I'm curious as to how this character will change stuff. Dragon Ball Xenoverse will release sometime in the future on the Xbox One, PS4, PS3, and 360.